You are here: Home » *Contest* (5) Signed Tonight Alive Warped Tour Photos! 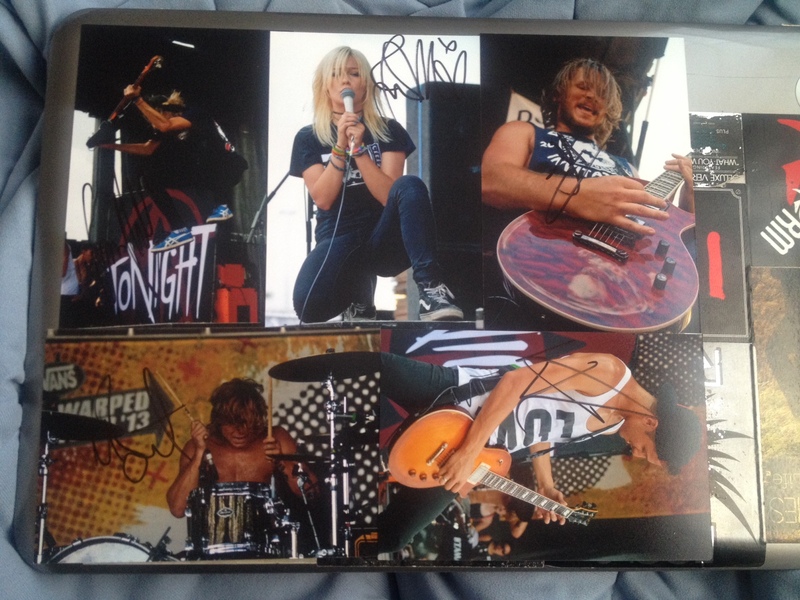 *Contest* (5) Signed Tonight Alive Warped Tour Photos! Contest time! Up for grabs is a set of (5) Tonight Alive photos taken by our photographer Terry Dobbins at various dates of last year’s Vans Warped Tour. You will get (1) 4×6 photo of each member (Jenna McDougall, Matty Best, Whakaio Taahi, Cam Adler & Jake Hardy) for a total of (5) photos. They were all hand signed during The Other Side Tour. You must comment the contest link on the Richard Thinks Page saying you’ve liked both pages. You will gain 1 entry for the above, and you can gain a 2nd entry by sharing the contest link via the Richard Thinks Page to your personal profile. The contest will end at 3:00pm EST Friday January 24th, 2014. I will make a list of all entries and use random.org to select a winner. Good luck to all!